The modern day organisation has deeply embedded digital capabilities within the core business, where business-critical assets can no longer exist without some form of a digital footprint. As more organisations establishes their core businesses on a complex web of connected services, the lines between traditional business risks and cyber-security risks gets blurry. In fact, organisations need to rethink their risk management strategy to cope with the rapidly evolving threat-landscape with a new breed of empowered threat-actors. Effectively addressing the dichotomy between capitalizing digital opportunities and countering cyber-risks requires technology leaders to develop a deep understanding about the business and formulate sound risk management strategies that protects the most critical assets against the new vulnerabilities and threats. 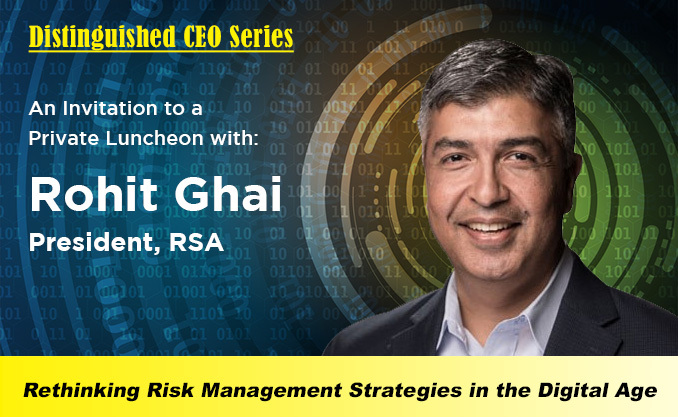 Join us and your fellow peers as we learn from Rohit Ghai, President, RSA, a Dell Technologies Company, about his vision and approach in enabling global organisations operationalize a security transformation strategy that effectively addresses the changing business risks with the digital revolution that is happening today! 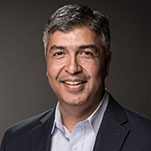 Rohit Ghai is President of RSA, a Dell Technologies business focused on helping customers manage digital risk through Business-Driven Security™ solutions. He is responsible for all aspects of the business and accelerating growth by setting strategic direction and driving operational execution. He advises global customers on their digital and security transformation initiatives and is often cited in broadcast and print media on topics like data privacy, content management, information governance, digital risk and cybersecurity.